Raise your spirits, with spirits. This post contains affiliate links – which basically means I may receive a small commission if you click on a link and make a purchase. For more information – check out the FAQ. 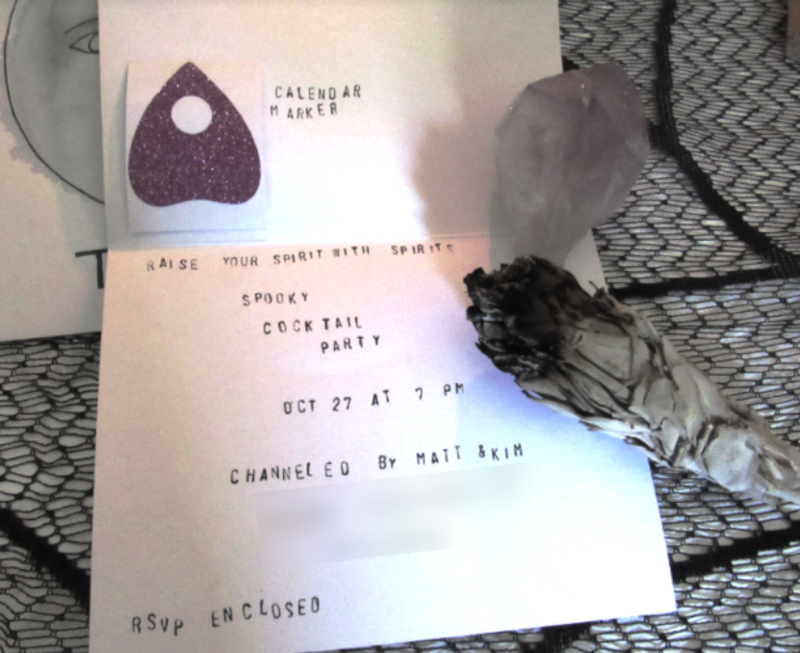 This Halloween, we throwing a seance inspired cocktail party. Honestly, I’m stoked! I cannot wait to turn our home into a haunted house. We’ve been planning this party for weeks and we’re going to really embrace the theme in every detail. As I’ve mentioned in the past, invitations are key to set the tone of your party. 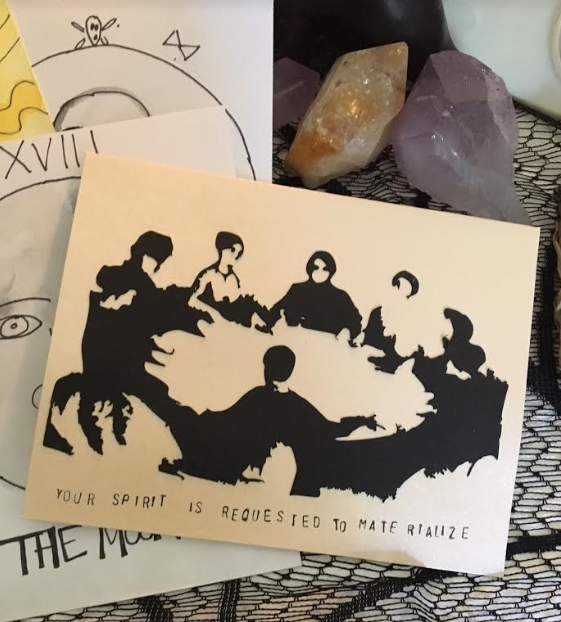 Seances, fortune tellers, and spirits offer a lot of opportunity to play with – but for this particular invite – I wanted to do a throwback to the classic seance you would see in old spooky photographs. To create this invitation, I utilized my Cricut to cut out the seance scene. An alternative would be to print and glue onto a card. A planchette as a calendar reminder! I simply cut out the selected photo from the Cricut and glued it onto the blank card. 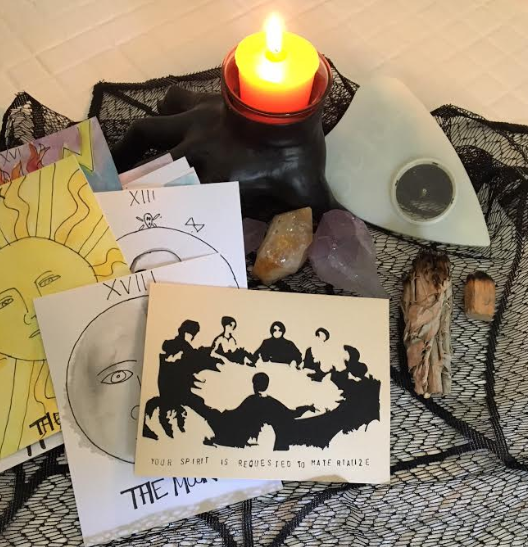 From there – I stamped all of the details: Who, when, where, what and added in the planchette sticker for good measure. 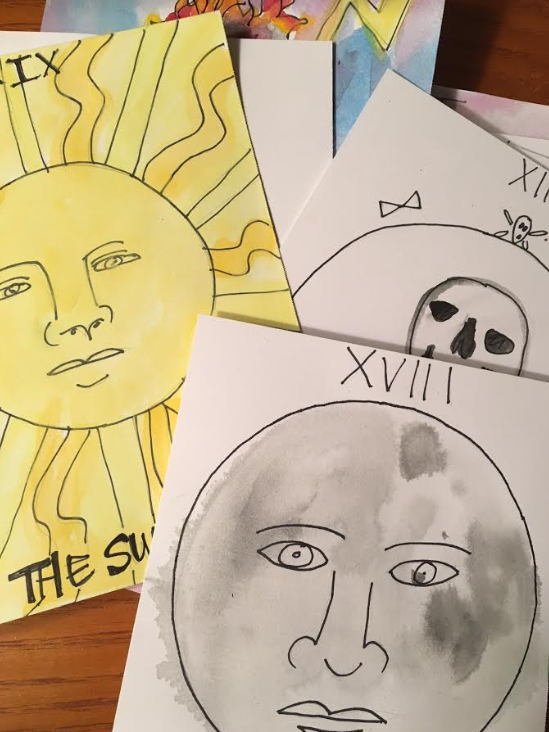 The RSVP cards were hand painted tarot cards (with water color) on blank postcards.